Kansas City, Mo. 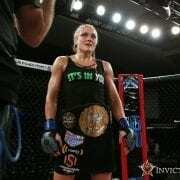 — Tonya Evinger is still the Invicta Fighting Championships bantamweight champion. 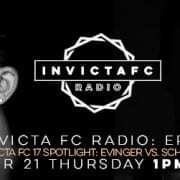 Following a ruling by the Missouri Office of Athletics, Evinger’s first-round submission loss to challenger Yana Kunitskaya at Invicta FC 20 has been overturned to a no-contest. The bout, which took place on Friday, Nov. 18, ended less than two minutes after it started, with Kunitskaya being ruled the winner via armbar. However, Evinger filed an appeal with the Missouri Office of Athletics and today the result of that appeal was decided. As a result, the 135-pound title remains around the waist of Evinger. 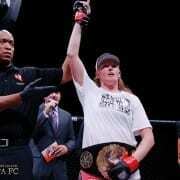 Invicta FC President Shannon Knapp added that the promotion is “working on scheduling a potential rematch” of the bantamweight championship bout between Evinger and Kunitskaya as soon as possible. This is grossly disgusting!!! Yana clearly made her tap. Evinger is a bad sport and loser. She is the epitome of everyone gets a trophy. She lost. End of Story!!! 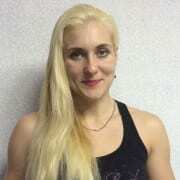 Reschedule the fight and watch Yana beat her again and Evinger appeal it again. She clearly tapped. Clear!!! Worst champion in MMA HISTORY. What a terrible champ. WTF?? How can she stay champion if she tapped? The ref. Made her move her hand from her face. Illegal command by the ref. Evinger stood on the head of Kunitskaya to defend the submission, the referee called Evinger to remove her feet, she removed it and seconds later she tapped. Maybe there was no rule violation by Evinger and the referee made an mistake, maybe not the first one if i rememember correctly – even in the same IFC Event: he stopped a fight because of a mouth peace for disadvantage of the dominant fighter in this situation. WTF? She clearly tapped. You can see it clear as day in the video of the fight. What a sore loser… and she is a dirty fighter on top of it since she stepped on her face during the armbar. I’ve been watching MMA for almost 20 years and I haven’t seen anyone do that in a pro fight before. No class, no sportsmanship, no dignity, no respect. Evinger lost a fan *me* after she filed that appeal. The ref didn’t intervene until she stomped on her opponent’s head. Replay clearly shows it. She would’ve likely won a rematch, but now I hope she loses her next fight. Any respectable fighter would’ve gotten back in the cage and EARNED that belt back.